The Offset sofa by Menu is a creation by the Danish design studio Norm Architects, that puts emphasis on a minimalist, balanced design. The sofas are characterised by apparent paradoxes, which in their combination, however, create a harmonious overall picture: impressive yet simple, architecturally appealing and at the same time cosy - these supposed opposites are usually closed, but together they result in a well thought out, rounded design. 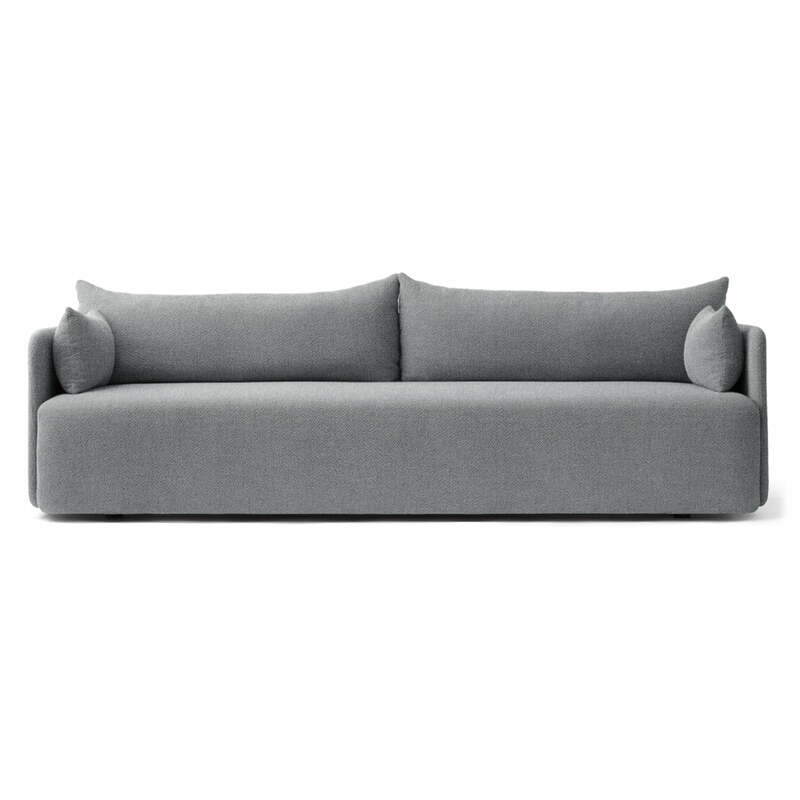 Moreover, the playful use of proportions makes the sofa a unique piece of furniture. With its narrow armrests, generous padding and soft cushions, the Offset sofa by Menu offers a place to relax and linger. Simultaneously, it offers every interior an elegant touch that stylishly enhances the entire room. The sofa is available in different sizes and upon demand in other colours. Isolated product image of the Menu 2 seater Offset sofa. With its narrow armrests, generous padding and soft cushions, the Offset sofa by Menu offers a place to relax and linger. 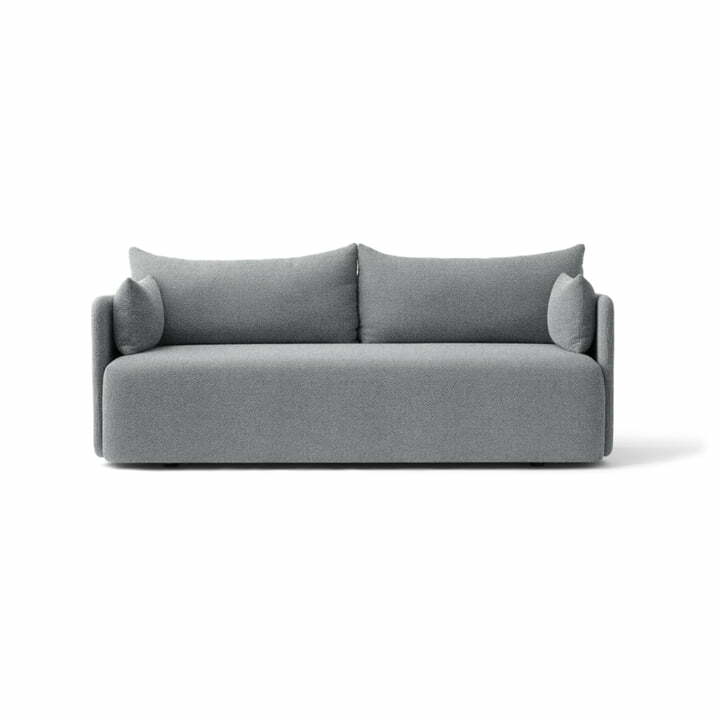 Isolated product image of the Menu 3 seater Offset sofa. 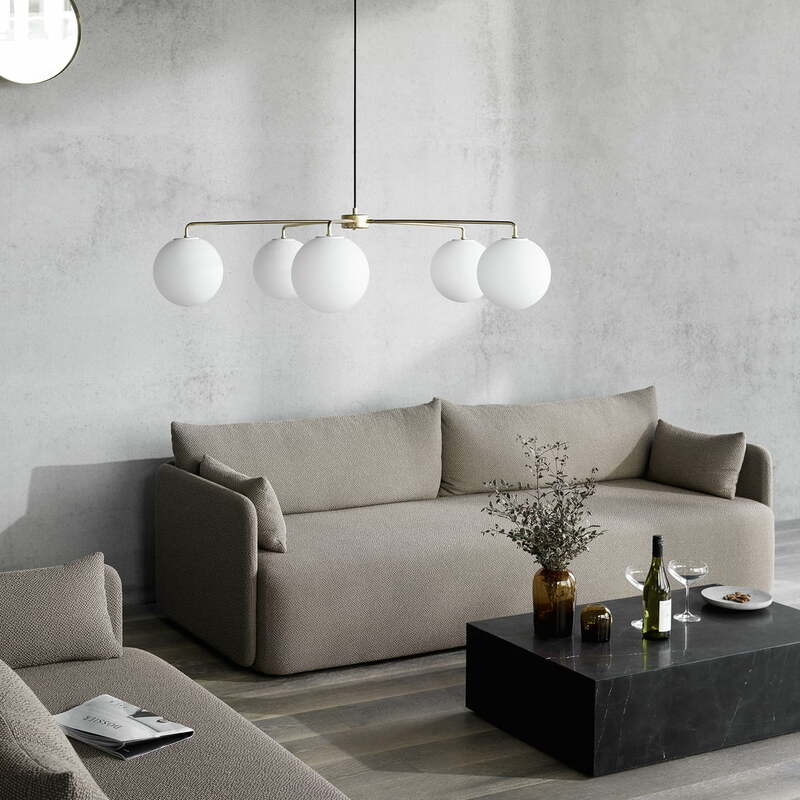 The Offset sofa by Menu is a creation by the Danish design studio Norm Architects, that puts emphasis on a minimalist, balanced design. Lifestyle product image of the Menu - Offset sofa in light grey. The Offset sofa offers every interior an elegant touch that stylishly enhances the entire room.